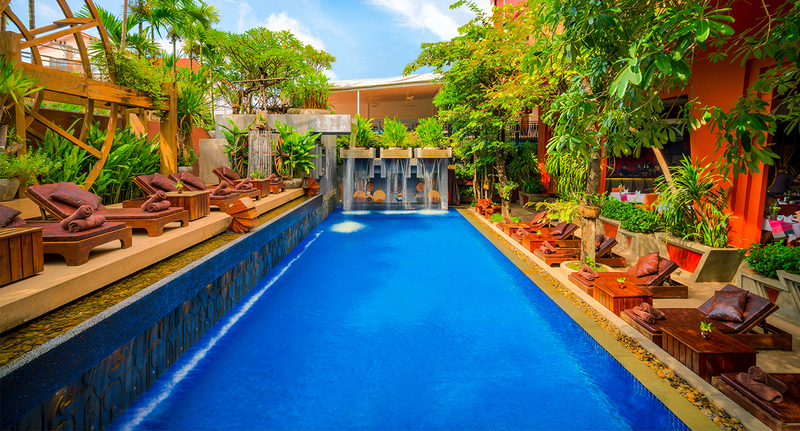 Located in the heart of the city, nearby the night market, our Siem Reap residence offers an oasis of tranquility with it’s quiet pool and verdant flora and foliage. With a modern interpretation of a Khmer temple, the building design turns concrete into a elegant and seductive Cambodian art concept. All suites offer tasteful luxurious décor and modern comfort. Just 16 miles away, lies Kbal Spean, ‘The Valley of 1000 Lingas’, where the river flows over lingam carvings and becomes potent and blessed. Likewise our Rohat Pool, with it’s lingam-yoni designs, calls upon the deity to revitalise and strengthen with it’s holy waters. 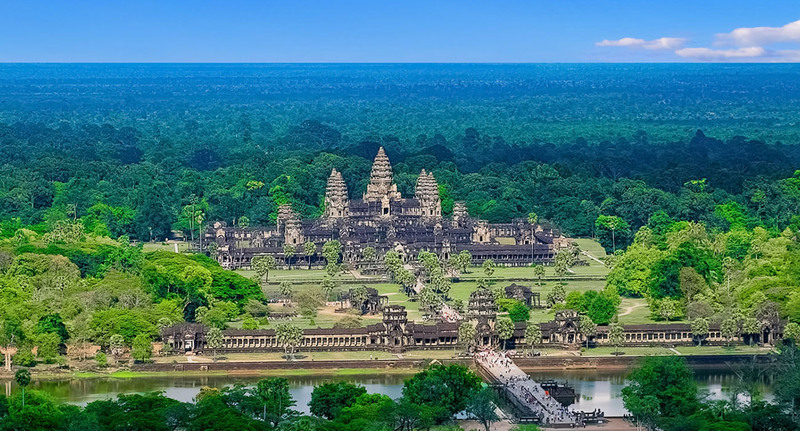 Reside in the comfort of our Siem Reap retreat whilst you experience the grandeur, history and culture of Angkor Wat and more than 150 other significant temples of the Khmer empire. treatments. Our therapies are the perfect way to attain total wellness. 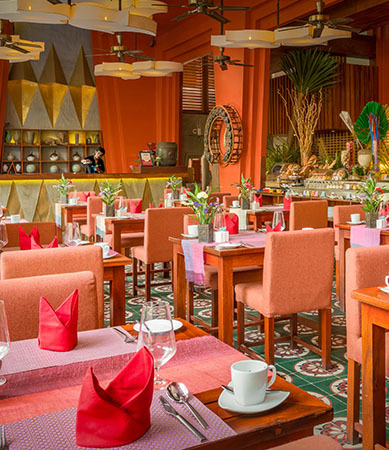 Our Siem Reap hotel offers guests a variety of exciting dining experiences. 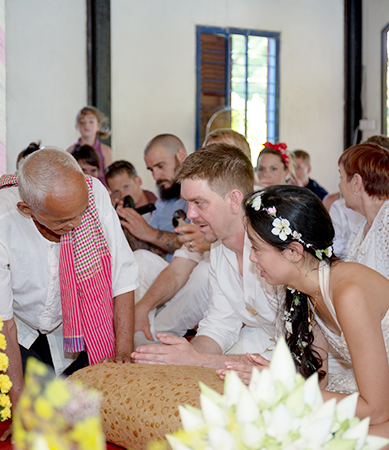 From birthday festivities to anniversaries and weddings, Golden Temple Residence is ready to assist you. Tucked away, down a side road, the Golden Temple Villa, provides the perfect balance between being central and being quiet. 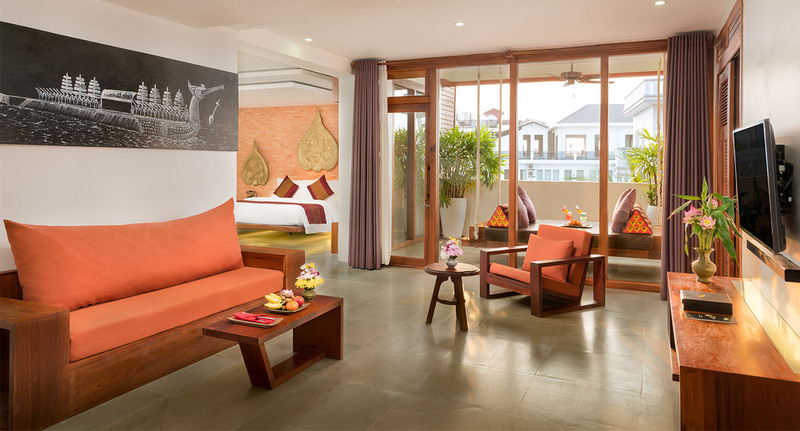 With the same luxurious Golden Temple group standards and comfort, the Villa is,enchanting, elegant and enigmatic. Our exquisite luxury Siem Reap retreat features 32 spacious rooms situated nearby the throbbing heart of Siem Reap but is just 30 minutes drive from the Angkor Wat and only 5 minutes walk from downtown Siem Reap. Our unique luxury Siem Reap boutique is designed in the style of a traditional Cambodian village. Local artisans handcarved the magnificent stone walls and bridge. The boutique is situated nearby the throbbing heart of Siem Reap but is just 30 minutes drive from the Angkor Wat and only 5 minutes walk from downtown Siem Reap.